An Outdoor Toddler Group specifically designed for young children (0-5) and their parents/carers, although siblings are welcome. 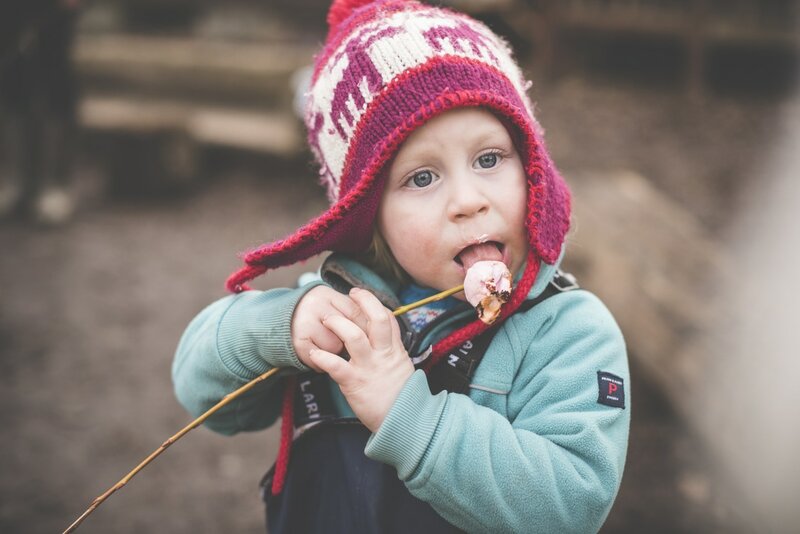 It includes sensory bushcraft and play-based activities, games and songs; all of which encourage the children to foster strong relationships, build self-esteem and develop their language and communication skills. Children will have the freedom to respond to the environment and situations in their own way to suit their own learning styles and individual personalities. Dress for the weather and bring a water bottle. These sessions include drinks and snacks prepared on an open fire. Earthworms DISCOVER nature, PLAY in nature and, TAKE CARE of nature in these carefree fun filled sessions. To book a place for the Summer Term of Earthworms please submit a contact form below and include your child’s name and age. Then make a payment via bacs with your surname as a reference. There are 11 sessions this term so fees are £110 per family and are payable termly in advance.